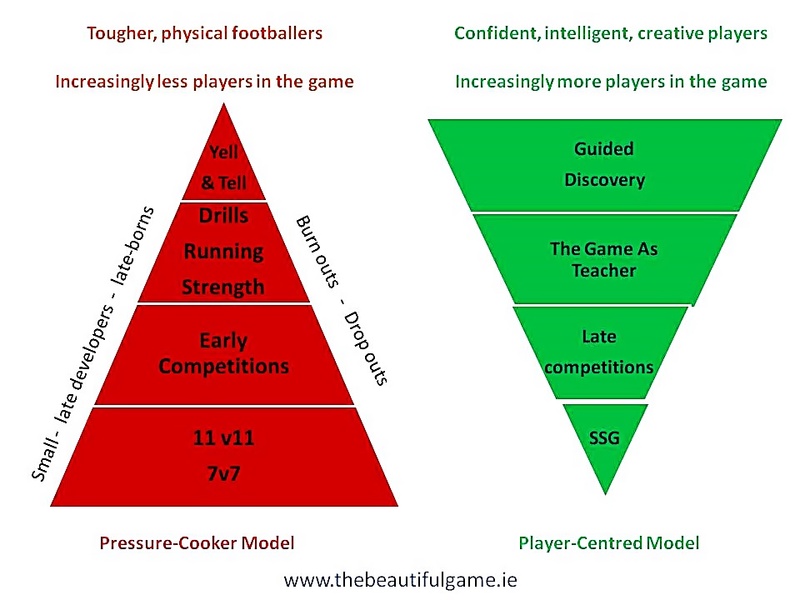 How to develop football game intelligence through the learning and teaching process? To ensure frequent victories today, it is absolutely necessary to develop complete players. They must have an excellent technical ability, physical fitness and tactical knowledge; they must also be mentally prepared. But, there is one more aspect of the development of a complete football player that have not been considered or stimulated sufficiently in training to bring the game to a superior level. That is the development of game intelligence in football. Game intelligence is the quality that allows a player to recognize and adapt to situations on the football pitch quickly in the high pressure atmosphere of the match. However, the development of the intellectual capacities of the players is still in its very beginning, because of the authoritarian teaching style preferred by the vast majority of coaches. For instance, the frequent instructions that the players receive from the coaches before the game, during the game and during the training sessions. The way to improve your players and the play itself is to begin a systematic development of tactical awareness and thinking from a very early age with an emphasis on a progressive stimulation of perceptive and intellectual capacities. How to teach the players to think on their own when playing the game? The children gain a variety of experiences through observing, practicing and experimenting. Then, they interpret these experiences when encountered with different and challengeable situations during the game. 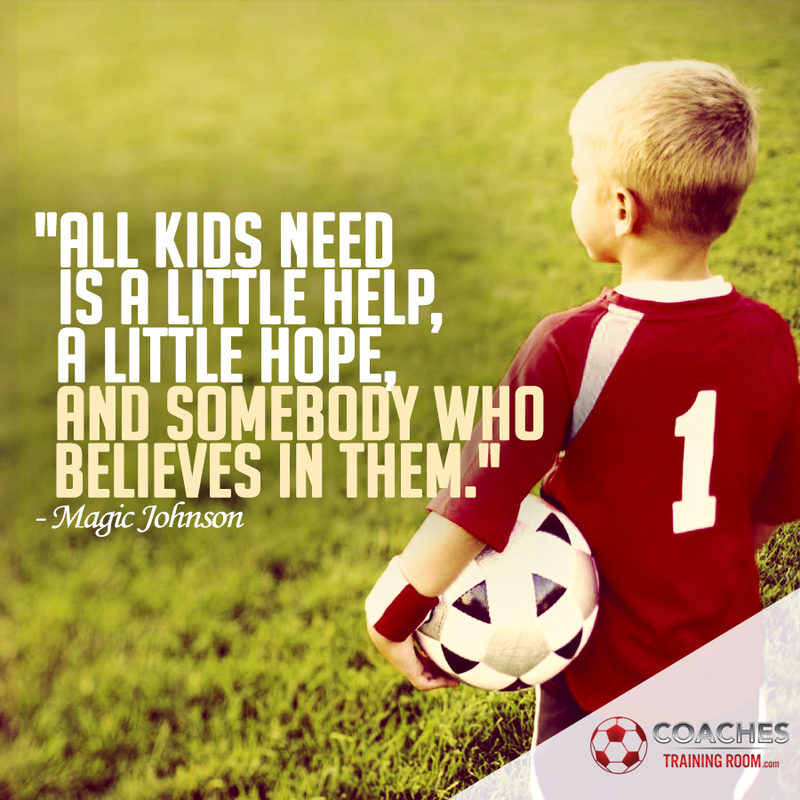 Here, the role of the coach is to guide the child and help him to interpret experiences properly, otherwise the child will never reach his full potential. So, the coaches need to offer advice, to give examples and to question almost everything. Every coach should ask himself, what is the best way for the children to acquire tactical habits? The answer is very simple. All young players should be exposed as soon as possible during training to simplified games in order to acquire football knowledge and specific experience. However, subjective experiences alone are insufficient. The acquisition of knowledge is much better when it is the result of a well-proven pedagogical process where the coach uses questions and demonstrations to develop the specific knowledge. An explanation or demonstration, stimulation, advice and encouragement by the coach will form a solid foundation in the youngster’s mind for the development of game intelligence. How to further build on this foundation is through appropriate number of repetitions of the same game situation and then transfer of the solution to similar situations that happen in the game. Coaches must use the global rather than analytic method. The players should be exposed to a series of technical-tactical simplified games like 2v1, 3v2 or 3v1. Practising simplified games over and over again every player will face and resolve a series of problems that should be shaped perfectly to his physical, technical and mental abilities. Bellow will be outlined a couple of games and progressive exercises that will aid the development of player’s tactical thinking and awareness step by step until he, with the coach’s guidance, has discovered a number of solutions for every situation confronted in a football game. The solution can be figured out through spontaneity, imagination, creativity or through frequent repetition of a similar situation in training. The ability for flexibility in a previously learned skill is only possible when the player has been exposed to a systematic development of his intellectual capacity from a very early age right through to a top performance level. Good perception, an understanding of game situations and good decision making, culminates in a good technical execution of the mentally prepared move. All these phases of the playing action must be coached over a period of years in order to be able to raise the performance level of any player. The game intelligence is a very important aspect in football. If you want to stimulate game intelligence you as a coach must stop giving instructions and commands before, during and after the match. Coaches must understand that instructing all the time would prevent the players in developing their intelligence. Furthermore, instead of providing solutions to the problems to the players, coaches should confront the players in training with a variety of problems to be sort out by themselves. In order to get more intelligent players with awareness and responsibility, coaches must stop with the rigid and authoritarian coaching style as well as to start to stimulate the players more and instruct less. Draw on past experiences when confronting any given situation to come to a correct decision. Intelligent players are capable of reading situations within the game as well as anticipating how the play is likely to develop thanks to previous information. The quality to anticipate, as a result of good decision making and perception, is a significant tool for intelligent players. Nobody has an inborn high level of game intelligence. In order to develop the innate potential, you have to expose your players every day to a progressive training program with simplified games. Not only can simplified games develop game intelligence in player, but also improve the tactical and technical skills. In part 2 will be explained what game intelligence looks like and how to use effective questioning in order to improve your players and enhance their performance. 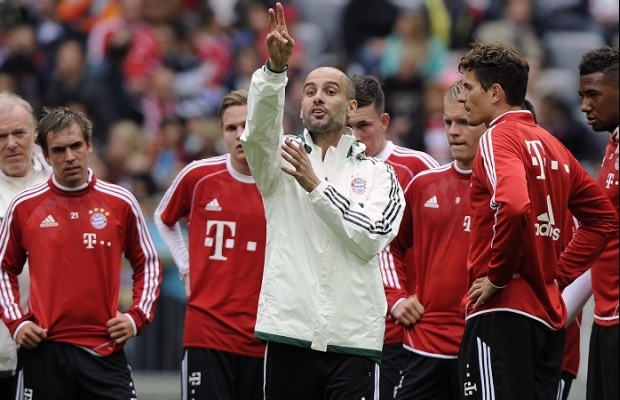 Guardiola is considered by many as the best football tactician in the world currently. His teams are famous for the offensive and attractive football as well as for the low number of goals they concede during the season. The following presentation will reveal the secrets behind his success. One of his main tactical aims: to have his defenders playing close to the centre circle line and, if possible, moving into the opposition's half for as long as they can. He wants his players to close the opposition down in their own area. The aim is to be tightly packed, except the wingers who provide the team with width in the attacking phase, and able to press the opposition, thus cutting off counter attacks. In football there are basically two propositions: one based on ball possession and the other on managing space on the pitch. 'If you want to win by dominating the ball you have to cover each other and look for free men. The guy who hangs around by your hoop waiting to take a pass and score easily,' says Pep. He sees four specific ways to defend against such a threat: don't lose the ball in key midfield areas where it's easiest for the opposition to mount a dangerous counter; use 15 passes to make sure that your team is well positioned and close together at the point where a move might break down, so that it's easier to press and win the ball back swiftly; put high, effective pressure on the first opponent (the free man) who receives the ball after your possession breaks down - anticipate who the free man will be and react more quickly than him. In all of this the central defender, and his vigilance, is vital. 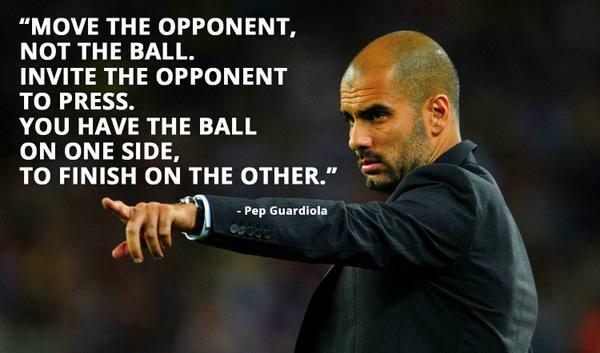 This Positional Play has been the underlying philosophy behind one of the most successful coaches, Pep Guardiola. 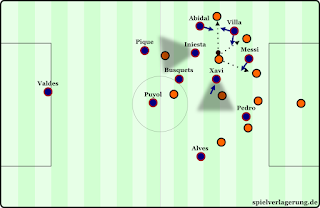 At the beginning, just to familiarize the readers with this game model, a couple of teams and coaches that used the Positional Play will be outlined.The most successful team in terms of trophies won through using the Positional Play has been FC Barcelona during Pep Guardiola's time.Of course the same style continued in the following years including the latest coach, Luis Enrique. Also, Guardiola's Bayern team played with this concept and now he is using the Positional Play in his current team Manchester City. Furthermore, Tomas Tuchel's Borussia Dortmund played the Positional Play in a modified way in comparison to Pep's teams. Other coaches that use the Positional Play in their teams are Jorge Sampaoli as well as Luis Van Gaal and Marcelo Bielsa. In all of their teams the interpretation of the Positional Play is in many different ways mainly because of the quality of the players and the way the coach prefers his team to play. However, the basic concepts and principles remain the same. 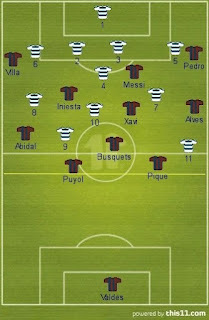 This is an example of FC Barcelona's Positional Play. 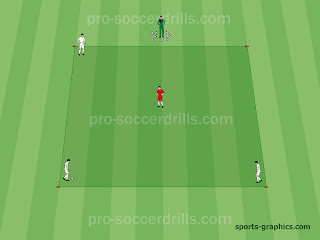 The well-organized positioning provides the players to express their individual potential and the collective creativity. 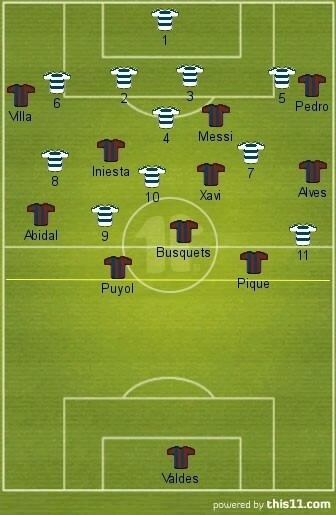 Basically, Barcelona plays 4-3-3 with a single pivot (defensive midfielder). This shape gives the team the ability to create triangles of support with short distances between the players, which helps the circulation of the ball and as a result Barcelona always has higher percentage of possession of the ball than the opponents. The Positional Play is about giving the offense a set of guidelines to play within a structured scheme. 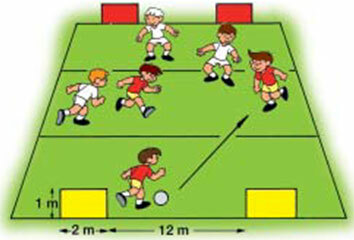 The playing field is divided into specific zones with four vertical lines and some horizontal lines. 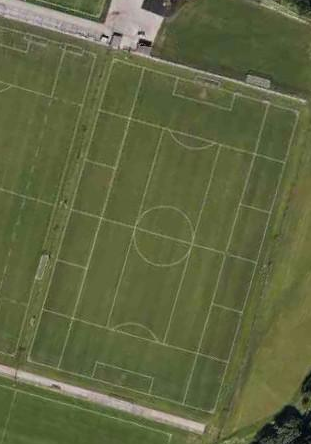 Example from Pep Guardiola's training pitch. So, the Positional Play is a model of constructed play and it is found in the attacking phase, when we are in possession of the ball. It is basically trying to play the ball towards the opponent's goal by passing through free players. You can create those free players through your better positioning than the opponent. Positioning Play is positioning yourself better to get closer to the opposition goal through finding free man. The basic idea is to progress towards the objective of scoring a goal. We occupy the opponent's half, expanding ourselves into their half of the pitch using width and diagonal balls in order to penetrate through their defensive block. It is an organized play that involves combined passing movements using a large number of passes and very well positioning. Some players are directly involved in the play, whereas others are on the break, creating spaces to ensure that possession is kept and progression is made with the final objective of scoring a goal. The Positional Play needs structure and continuous geometrical formations; triangles, rhombus etc. A good positional play consists of invading and conquering the space on the pitch by making the pitch as big as possible when in possession. To have the ball in possession for the most of the time the players must put immediate pressure after losing the ball in order to retrieve it as soon as possible, which is making the pitch as small as possible for the opposition when out of possession. When it comes to this negative transition (transition from attack to defense) a perfect example is Pep Guardiola's 6 second rule.Guardiola employed "The 6 second rule" at Barcelona, which is pressing the opponent in the final third. The notion was that in the scenario that the ball is lost in the opponent's half, the team is most likely to win the ball back within the immediate 6 seconds that followed. The great positional structure allows the players to retrieve the ball very quickly. Not only that the successful pressing relies on the positional system and the possession based ball circulation attitudes, but it also relies on the high line of defence to compact the play and reduce the space. It also relies on the goalkeeper controlling the space in behind the highline of defence. 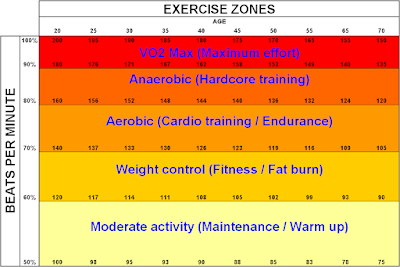 The training grid is an organizational tool. You are teaching your players what lanes you want them to occupy. To keep the team organized. 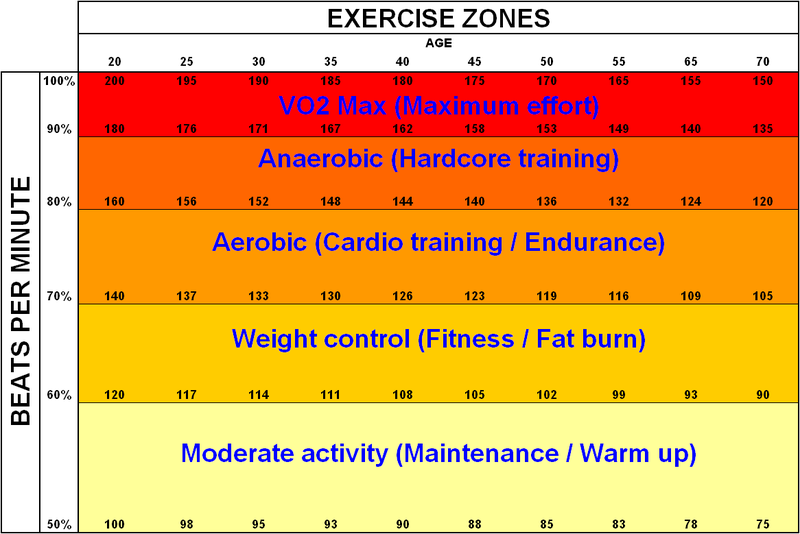 The players will have specific tasks and responsibilities within these zones depending on the phase of the game. In this concept, the options are predetermined by the position of the ball. 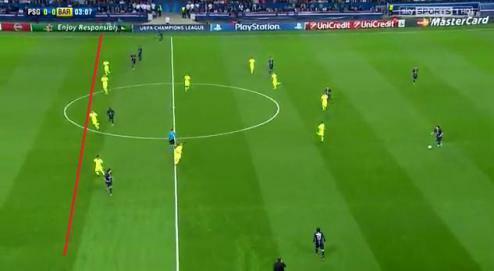 If the ball is on the left wing at midfield, then the zones that must be occupied are entirely different then when the ball is on the right half of your own 16m. box. Triangles should be formed in order to maintain short passing combinations. The ball carrier should always have two or three passing options . No more than three players may be in a line horizontally and no more than two players in a line vertically. If a player moves onto the same line as another player in order to offer himself for a pass, the other must switch to another line.The ball possession should be seen as a tool. It is not an end in itself but is designed to move the opponent so that you can get through them with your attacks.Only if that doesn't work you are allowed to circulate the ball for a moment without attempting to attack. You regroup, take shape around the opposition and try again. On this training grid, the players are trained to make rational occupation on the field. It is different in the first phase of the build up and different in the final third. Moreover, the players are trained to make certain runs, overlaps and occupy certain space on the pitch in reaction to where the ball is at the moment and what the situation is. 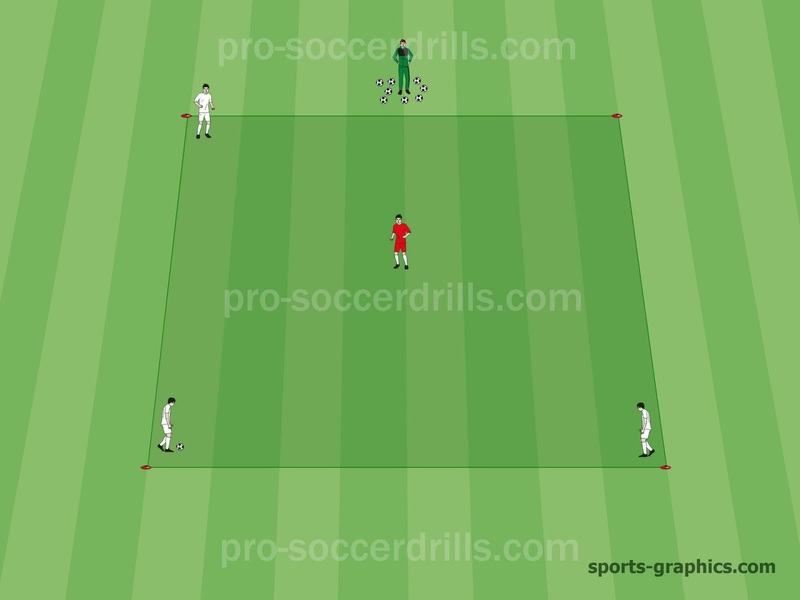 It is clearly noticeable that the training field for rehearsing the Positional Play is divided into separate zones and all the players have specific duties to carry out within these zones depending on the nature of the play. It could mean to make runs, stay in position, look for a free space between the opposition lines, make over/underlaps all with one objective to maintain superiority over the opponent. The main principle behind the Positional Play is to always look for superiority on the field. This superiority can be achieved by being positionally, numerically or qualitatively superior. You can see that the Positional Play is a way of playing that takes the movement of the players into account more than the system. 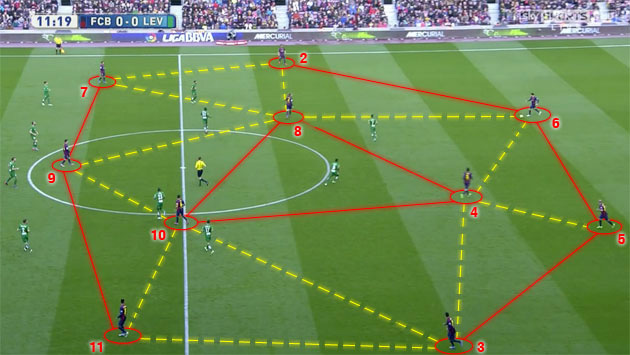 You can play 4-3-3, 4-4-2, 3-4-3 but what actually matters is the movement of the players. This method is guided by concepts, not by set positions on the pitch nor formations, as you can develop the same concepts that fit any system. The objective is always to be able to control the game through application of the principles of the game model. In the Positional Play everyone is spread out but the idea of the Positional Play is to keep everyone in their zones across the field. The Positional Play is a very spread out type of shape. And within their zones everyone has little movements where the players are moving within their zones, where they become available for the player who have the ball. So, it is about keeping distances from your teammates and making yourself available to receive the ball. Another crucial concept is to stay between the opponent's shape, receive the ball and progress towards the opposition goal. How can I outnumber the opponents whilst building up the play from the back? How can I outnumber the opposition in key central areas further forward? How can I look to isolate their defenders to create 1v1 situations in the final third? I highly recommend his approach and way of thinking to every coach. 1. Declare war against the 11v11 game. The 11v11 game, should be replaced by another type of competition tailor-made for younger players. Games like mini-football (3v3 on four goals), 7v7 football, and 8v8 football (played between the regular pitch's penalty areas) offer the adequate frame (in terms of space, number of players, ball size and weight) for children to express their creativity and inspiration in a more healthy environment: an environment that does not contain the stress of the 11v11 game with its adult-oriented rules. 2. Use more games and fewer analytical exercises. Practicing should happen in a game context. Statements such as 'The game itself is the best teacher' must be rediscovered and considered in the planning of all training sessions where drills predominate. Children should be exposed to more game plays (global method) and less practice with the analytical method. 3. Let the kids play without correcting them permanently. When playing, it is not always necessary for young football players to know the specific learning objectives of a practice. The learning objectives are always important for the coach but not for the players. Players should frequently have the opportunity to just play, or play just for fun, without having any specific learning as a main objective. We should not forget that one essential part of the game is its unpredictability. This explains why the game is so fascinating for kids. 4. Children should have the chance to play in all positions and in reduced space. Young football players should have the opportunity to play in various positions in order to discover the roles and functions that these positions characterise. Experimenting with play in different positions stimulates creativity. For instance, 7- to 9-year old players could perform the many variations of the mini-football game (3v3 on four goals) instead of playing 7v7 football or 11v11; 10- and 11-year olds may participate in a 7v7 game instead of competing in the 11v11 match; and 12- to 14-years olds could play tournaments of 8v8 football instead of championships in 11v11. The problem of positional experimentation would be solved since a competition with fewer players, in a reduced space, stimulates creativity, while the full game, on a regular football pitch, only tires the young players physically and intellectually, limiting their creative play. 5. Only those who enjoy the game can be creative individuals. Each training session should include a great variety of games, not only football-specific ones. When children play, they should have fun and be excited by the game. If young players do not identify themselves with the game proposed by the coach, the creative capacity will remain dormant. The more the players enjoy the game and the ball, the more that playing stimulates the development of a creative way of interpreting football. 6. The football environment is an enemy of a young player's creativity. Most of our young talent grows in an atmosphere that is noticeably hostile toward creativity. 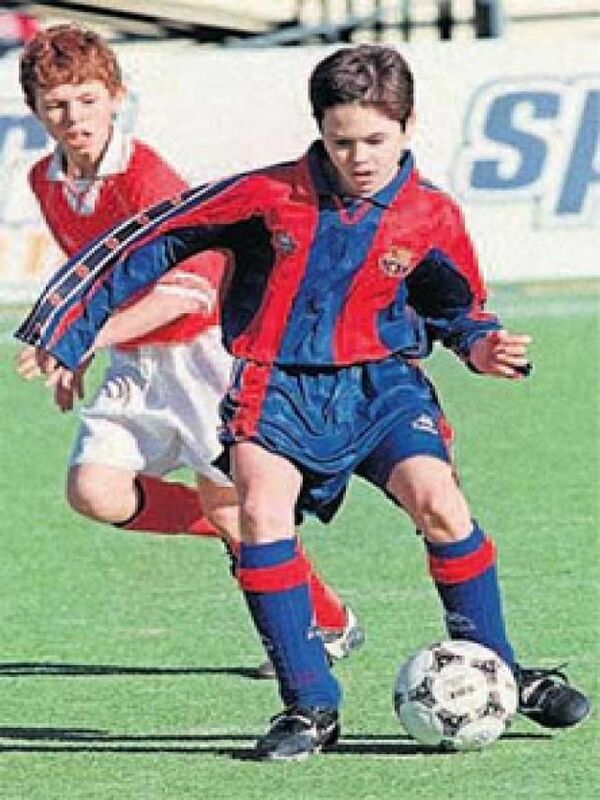 On most football fields young players are dominated by instructors, who allow relatively little freedom of movement and decision making: The opinions of young players are not taken into account. For the coach it is important to have everything under control, and, in the case of a player departing from the norms, the player is punished and called on to respect the coach's orders. Many coaches think for their players instead of stimulating them to think by themselves. Over the years, young football players are left in no doubt about the coach's instructions and play according to the information received but without putting in their proper thoughts and personal flair.When these young players reach the age of 15 or so, it is obvious that they will face serious problems if they are requested to make their own decisions, since, for many years, they have been trained to execute only what adults have told them. 7. More freedom during the play. When practicing or competing, coaches should not always punish the mistakes of their players, since this will restrict the players from taking risks and prevent their creativity, fantasy and imagination from flowing. In the training sessions more space or time should be allowed for players to experiment with new moves that occur to them spontaneously. 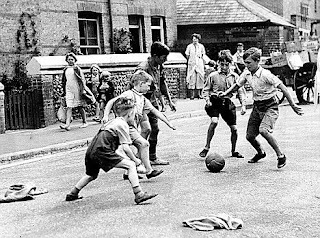 A more informal environment - as seen when football is played on the street, the beach or in a park - helps to develop more creative players. 8. Dare to risk and improvise without fearing the consequences. Young players should not be pressured by their coach to quickly pass the ball in order to allow better team play and winning. Young players who treat the ball as their best friend and often do their own thing are frequently more creative than those who accept what the coach demands. They should be allowed to improvise their play and take risks without fearing the possible consequences of having committed a mistake or to have lost possession of the ball. That is why young players should practice and play as often as possible without the presence of coaches (in the street or in the park). A coach's absence allows the players to feel more comfortable, to explore their innate potential without the fear of getting criticised when committing mistakes. Young players are the cornerstone of football. They are, and always will be, the future of the sport. Much more important than winning games is the acquisition of those values inherent in football: fair play, the urge to do better and the sportive spirit. Education, therefore, runs parallel to the technical instruction. Whether young players choose football as a lifelong sport is determined to a high degree by the content of the training programme, the expertise and experience of the coaches, the social life in the club or school and the structure of the formative competitions.The art of developing effective training and competitive programmes for children lies in knowing which kind of practice and competition the player is ready for at any given stage of his or her physical and mental development. Children will learn quickly, effectively and thoroughly only when the demands of the training sessions or competitions they participate in match their intellectual, psychological and motor skills. The concept of readiness (the disposition of a certain degree of maturity) is a prerequisite for any activity and one that should be applied in all aspects of teaching and learning. It must also be applied to children's sports activities. 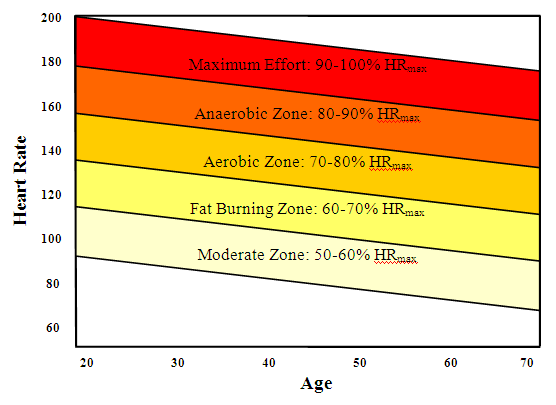 Coaches should ask, 'At what age is a child ready to successfully face the demands of an adult competition?' If officials were aware of the concept of readiness, children under 14 would never have been subjected to testing themselves in competitions for which they were not yet prepared. 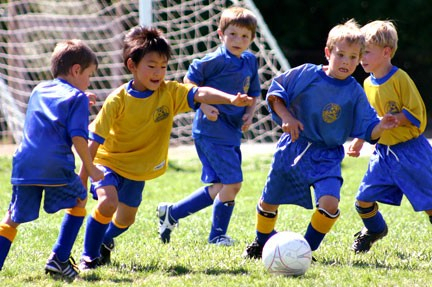 Children must be exposed to a gradual stimulation in training and to a series of progressive competitions that, over the years, allow them to advance step by step into the adult game.The art of coaching lies largely in knowing for what activity ( a technical move, a tactical behaviour or a complex competition) the player is prepared for at a particular stage of physical and mental development. All to often, children are introduced to complex sport activities for which they are not yet physically and mentally ready. Expecting a child to comprehend and respond to the complex situations in the full 11v11 football game format will only beget frustration and feelings of failure.Therefore, in order to develop efficient training programme for young players, the coaches should take into account each young player's current physical and mental development. The programme should promote gradual development of correct technical, tactical, cognitive and physical capacities of the players. The acquired bad habits from the early ages are the reason number one for a lack of progress in youth football.The perfect solution would be that the complicated adult game, that the children are exposed to, has to be simplified; a logical progression of competitions must be created, designed with increasing demands that adapt perfectly to the mental and physical abilities of individual children.Youngsters should be presented with only those exercises, games and challenges that suit their current capacities, interests and expectations.Training models and competitions for children should be like their shoes: They should fit perfectly and feel comfortable. Instead of obliging the children to adapt to the game of football, we as coaches have to adapt the game to the children, thus resulting in better and more enjoyable learning of the complicated game. In conclusion, the children should encounter training that is enjoyable, effective and appropriate for their age as soon as they set foot on the pitch.This is the only way to develop healthy, happy, talented football players. Any attempt to rush the natural development of young football players or have them confront the demands of the full game too early has to be considered detrimental to their development and future performance. На дадено физичко оптоварување организмот реагира со промена на различни физиолошки показатели. Според промените на физиолошките показатели што се случуваат за време на дадено физичко оптоварување, формирани се тнр. зони (нивои, распони, дијапазони) на физичко оптоварување. Секоја зона се карактеризира со посебни метаболни, енергетски и др. карактеристики. Поради тоа, сите зони не се за секого, зоните се одредуваат индивидуално и секој има сопствена зона во чиј распон најдобро ќе ги отствари поставените индивидуални цели. Апсолутните вредности на границите на зоните се менуваат со возраста (поради намалување на резервата на срцевата фреквенција т.е. поради намалување на максималната срцева фреквенција), а зависат и од варијациите во дневната биоритмика и расположението. Зоните може да се одредуваат според неколку показатели: срцевата фреквенција, максималната потрошувачка на кислород, нивоата на лактати. Максималните вредности на овие показатели (100%) претставуваат репер за одредување на зоните. Срцевата фреквенција е практичен и често применуван показател за проценка на интензитетот на оптоварувањето и за физиолошката адаптација на организмот. Познавајќи ги вредностите на работната срцева фреквенција како процент од максималната, може со голема веројатност да се предпостави какви метаболни и енергетски процеси во моментот се одвиваат во организмот. Важи и обратното, посакувајќи определен метаболен и енергетски ефект (здравствен или спортски), тренерот треба да зададе соодветно физичко оптоварување кое предизвикува конкретни (во дадена зона) реакции на организмот (пр. срцева фреквенција). Тренирањето во точно посакувана зона на физиолошко оптоварување обезбедува: безбедност, ефективност и ефикасност. Постојат 5 зони на физичко оптоварување , а означени се со бројки од 1 до 5. Важно е да се разграничи дека иако релативни (во проценти) дијапазоните на петте зони се идентични за сите вежбачи, нивните апсолутни дијапазони се сосема различни кај различно физички подготвени вежбачи. Кај почетникот вежбач апсолутните нивои на срцевата фреквенција се пониски, додека кај вежбачите професионалци тие се на повисоко ниво. Одредувањето на зоните т.е. на интензитетот на тренирање секогаш треба да биде индивидуално, а зависно од кондицијата и задачите на вежбањето: здравствени, редукција на телесна маса, подобрување на спортските способности. Во зоните со помал интензитет се троши енергија од мастите и аеробниот метаболизам на јаглените хидрати; во зоните со среден интензитет метаболизмот е мешан (аеробен и лактатен), додека во зоните со максимален интензитет метаболизмот е анаеробен и алактатен. Зона еден, мал интензитет. Тренирањето со 50-60% од максималната срцева фреквенција на вежбачот се користи за: воведување во работа, активен опоравок но и како главен дел во вежбањето за вежбачи-почетници. Поради малиот интензитет на оптоварување одлично се поднесува, а после вежбањето во оваа зона се чувствува пријатен замор што бргу поминува. Кај вежбачите со слаба физичка подготвеност тренирањето во оваа зона може да предизвика подобрување на работните способности. Вежбањето во оваа зона ги подржува функциите на многу органски системи, што предизвикува општ здравствен ефект врз организмот, како на пр. подобрување на проблемите поврзани со кардиоваскуларниот систем, покачениот крвен притисок, дијабетесот, несоницата, емотивниот и менталниот стрес. За да има ефект вежбањето во оваа зона треба да трае: еден час возење велосипед, 45 минути за одење или одење со скии т.е. 30 минути за трчење. Зона два, умерен интензитет, екстензивна аеробна издржливост. Во оваа зона се тренира со 60-70% од максималната срцева фреквенција на вежбачот. Иако го нагласува вентилирањето тоа сеуште е комфорно, а настануваат и поволни здравствени ефекти како што е зголемување на пумпната способност на срцето и издржливоста. Вежбањето во оваа зона го стимулира метаболизмот на мастите, како резултат на зголемена активност на мускулите ензимите за аеробен метаболизам како и поради зголемувањето на волуменот на митохондриите. Генерално, тоа има ефект врз намалувањето на баластното масно ткиво, LDL - лошиот холестерол и триглицеридите. За да има ефект вежбањето во оваа зона треба да трае: 90 минути за возење велосипед, 60 минути за одење или одење со скии т.е. 45 минути за трчање. Дел од воведувањето во работа и опоравокот поминуваат низ оваа фаза. Тренирањето во оваа зона ја стимулира регенерацијата после напорни тренинзи и натпревари и се препорачува како активен опоравок при завршување на конкретното вежбање. Воедно овие оптоварувања нагласено се применуваат за време на припремниот и преодниот тренажен период кога на телото му е потребен опоравок. Зона три, голем интензитет, аеробно/анаеробна зона. Во оваа зона се тренира со 70-80% од максималната срцева фреквенција на вежбачот и потешко се поднесува, лактатите достигаат концентрација до 1.5 ммол/л. Во оваа зона се отстваруваат истите здравствени бенефити како и во зона два, меѓутоа се развиваат и други, а поголема е и партиципацијата на јаглените хидрати како донатори на енергија. Редовниот тренинг за издржливост влијае многу поволно врз капиларизацијата на скелетните мускули: се отвараат резидуалните капилари, се создаваат анастомози меѓу постоечките, се формираат и нови, а се подобрува и кардиоваскуларната способност. Вежбањето во оваа зона го развива аеробниот систем и капацитет, посебно способноста за транспорт и искористување на кислородот. Здравствениот учинок врз организмот е многу позитивен, се подобруваат издржливоста, техниката на економичното движење, а масното ткиво се редуцира. Оптоварувањето во зоната три се дефинира како аеробно/анаеробен фитнес, се подобрува интензивната аеробна издржливост. За да има ефект вежбањето во оваа зона треба да трае: 60-90 минути за возење велосипед, 60 минути за одење или одење со скии т.е. 45 минути за трчење. Зона четири, зона на анаеробниот праг, многу голем интензитет. Во оваа зона се тренира со 80-90% од максималната срцева фреквенција на вежбачот, тешко или многу тешко се поднесува, вентилирањето станува се понапорно. Во оваа зона може да вежбаат само добро и долго тренирани спортисти. Над 80% од SFmax најголем број од спортистите преминуваат од доминантно аеробен кон доминантно анаеробен метаболизам за да ја одржат брзината на движење. Тренирањето во оваа зона го подобрува анаеробниот праг што може да се одреди со мерење на лактатите, а чија концентрација е индивидуална. Вежбањето во оваа зона ги подобрува: ензимската активност за гликолитичкиот метаболизам, способноста на телото да се справи со создадената млечна киселина, може да помогне во порастот на аеробната издржливост, анаеробниот капацитет, анаеробниот праг, брзинските карактеристики. Зона пет, максимален интензитет. Во оваа зона се тренира со 90-100% од максималната срцева фреквенција на вежбачот. Притоа многу или крајно тешко се поднесува, вентилирањето е многу напорно, мускулите се заморени. Во ова ниво се достигаат "таваните" на максималното оптоварување што организмот воопшто може да го поднесе. Тие состојби се присутни на натпреварувањата кога се постигнуваат најдобри спортски оптоварувања, во спортовите каде ваквото оптоварување допринесува во спортскиот резултат. Како зони за тренирање, тие се препорачливи за високотренирани и здрави спортисти, при што доаѓа до: пораст на натпреварувачката брзина, анаеробната способност, зголемување на лактатна толеранција, адаптирање кон побрзо намалување на лактатите. Тренирањето во оваа зона е контраиндицирано за: луѓе со здравствени проблеми или коронарна инсуфициенција, возрасни спортисти, рекреативци. Ан2 се среќава кај спринтери и дигачи на тегови и за време на вежбањето во оваа зона не се создаваат лактати. Определувањето на зоните на физичкото оптоварување преку проценета максимална срцева фреквенција оди по следниов редослед. Од бројот 220 (теоретска максимална срцева фреквенција) се одземаат годините на испитаникот (маж), пр. 220-50=170. Значи, борјот 170 означува проценета максимална срцева фреквенција за испитаник кој има 50 години. Освен преку проценка, максималната срцева фреквенција може да биде и измерена со некој функционален тест. Доколку сакаме да одредиме 50% од проценетата максимална срцева фреквенција постапката е следна: 170 X 0.50 = 85. Значи, бројот 85 означува срцева фреквенција што е 50% од теоретски проценетата максимална срцева фреквенција, за маж на 50 годишна возраст. Доколку сакаме да одредиме 80% од теоретската максимална срцева фреквенција постапката е следна: 170 X 0.80 = 136. Значи, бројот 136 означува срцева фреквенција што е 80% од теоретски проценетата максимална срцева фреквенција, за испитаник на 50 годишна возраст. Доколку е потребно дополнително објаснување или некој сака да дискутира на оваа тема, може да остави коментар или да ми се обрати на e-mail ! Постојат многу различни начини на кои што може да се игра во системот 1-4-4-2, во зависност од карактеристиките на играчите кои што тимот ги има на располагање, но основните аспекти на системот остануваат непроменети, посебно во фаза на дефанзива. Иако секогаш постојат исклучоци во секое правило (на Европското првенство во 2004тата Грција играше со 4 одбранбени играчи кога играа против 3 напаѓачи, но со стриктно маркирање човек на човек), 1-4-4-2 системот има 4 одбранбени играчи кои играат во зонски формат со десен бек, двајца централни бекови и лев бек, при што играат како една целина за да ја покријат целата широчина на теренот, поместувајќи се заеднички за да го затворат опасниот дел од теренот во кој противничките напаѓачи можат да се најдат и да влезат во шанса за гол. Пред 4 одбранбени играчи се наоѓаат 4 средни играчи, кои играат на сличен начин како последната линија во смисла дека се поместуваат како целина со цел да ја покријат целата широчина на теренот. Разликата е во тоа што слободниот простор (растојанието) помеѓу нив е зголемен во споредба со одбранбената линија бидејќи доколку се случи да бидат изиграни од противничките играчи е многу помалку опасно по сопствениот гол бидејќи имаат уште 4 играчи позади нив кои се таму да ги покријат. Дефанзивните задолженија на двајцата играчи кои се најнапред може да бидат различни и тие зависат од одлуката на тренерот како и од нивните карактеристики. Во денешно време, се повеќе и повеќе гледаме дека еден од нив, во фаза на одбрана се повлекува подлабоко, односно се поставува блиску пред средната четворка за да им помага. Со ова поместување се формира компактна 1-4-5-1 формација во фаза на дефанзива. Позицијата која што овој играч ја има е од клучно значење за системот 1-4-4-2 бидејќи не само што му помага на својот тим дефанзивно, туку и кога топката е освоена, неговата позиција е клучна да преку него може да се одигра ефективен контра напад. Позиционирањето на играчите во системот 1-4-4-2 може да биде во повеќе варијанти и поради ова гледаме дека многу тимови се адаптираат на оваа формација, но играат со различен стил. Генерално, двајцата централни дефанзивци си остануваат од позади на своите позиции за време на отворената игра, а бековите се слободни да одат кон напред за да се дополнителна опција во нападот. Конзервативните тимови играат на начин што само бекот кој што е од страната каде што е топката има можност да учествува во нападот, додека спротивниот бек треба да остане блиску до централните бекови, односно да не ја напушта дефанзивната позиција за да во случај на контра напад тимот е добро поставен во последната линија. Ќе го земеме за пример тимот на Арсенал, кој игра на модерен начин на највисоко ниво. Во тимот на Арсенал бековите во фаза на напад се позиционираат што е можно повисоко на теренот. Со ваквото позиционирање централните бекови се оставени 2 на 2 со противничките напаѓачи но двајцата средни играчи имаат задача да покриваат при евентуален контра напад. Со ваквото поставување на бековите многу е полесно да се гради играта и со тоа тимот е многу поопасен офанзивно. Напаѓачките варијанти во овој систем зависат најмногу од карактеристиките на играчите. На пример доколку двајцата странични средни играчи имаат изразени офанзивни карактеристики тогаш тие би ја имале целосната слобода, но за таа цена пак двајцата централни средни играчи ќе треба да не ги напуштаат своите позиции и да ги покриваат страничните играчи. Во обратен случај, доколку еден од централните средни играчи има офанзивна тенденција, тогаш тој ја има слободата кон напред, но во тој случај еден од страничните играчи треба да размислува повеќе како да го покрие. Пример за таков играч беше и сеуште е Френк Лампард. При градењето на нападот, двајцата централни средни играчи треба постојано да ги менуваат местата за да се ослободат од противничките играчи и да се постават во слободен простор каде што ќе можат да ја примат топката и да ја креираат понатамошната акција. Двајцата напаѓачи пожелно е да бидат различен тип на играчи за да нападот биде непредвидлив и да бидат потешки за чување, односно да противничките одбранбени играчи не можат лесно да се адаптираат на нив. Како на пример може едниот да е висок и да игра добро на високи топки како и да е добар во играта кога е свртен со грбот кон противничкиот гол, додека другиот да е брз и добро технички поткован. Многу е важно за овој систем да тие двајца се добар тандем, односно да се добро воиграни и да се разбираат во текот на играта.